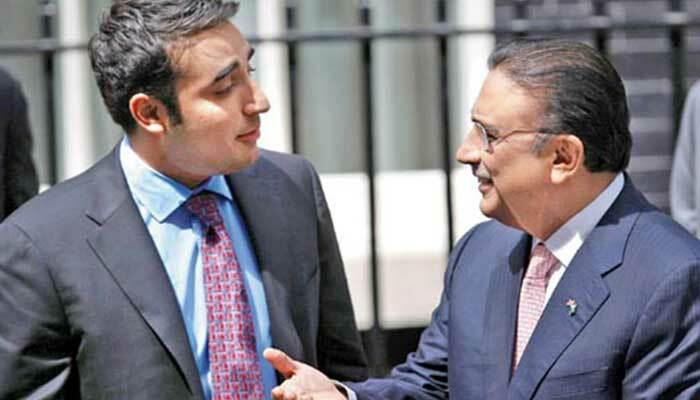 ISLAMABAD: Former president Asif Ali Zardari and Pakistan People’s Party (PPP) chairperson Bilawal Bhutto Zardari on Wednesday appeared before the National Accountability Bureau (NAB) in Islamabad in pursuance of its call-up notice in the Park Lane Estate case, media sources reported. They reached the NAB office in a convoy comprising over a dozen vehicles. Their vehicles were surrounded by party workers who gathered there to express solidarity with them. At least five police personnel sustained wounds when PPP workers hurled stones at them in a bid to enter the NAB office, according to police sources. Subsequently, the police personnel retaliated by baton-charging and arresting some rowdy workers. Following a call by the PPP leadership, a large number of party workers turned up outside the NAB office to express solidarity with their leaders. Stringent security arrangements have been made in and around the old NAB headquarters to avoid any untoward incident.